Yes, we have cards and red envelopes for Chinese New Year! 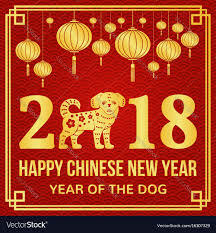 2018 is the Year of the Dog, one of the 12 animals in the Chinese zodiac. It’s China’s biggest and most important holiday and continues through Sunday the 18th. Chinese New Year is also celebrated in Vietnam (called Tet), Korea (called Seoallal) and by people of Chinese descent in Malaysia, Thailand, Indonesia and all over the world.